Now every store has their own deal, and it would behoove you not to take advantage of these incredible prices. Huggies costs 38.80 shekels. You can purchase up to two packages at this price. Titulim costs 100 shekels for 3 packages. 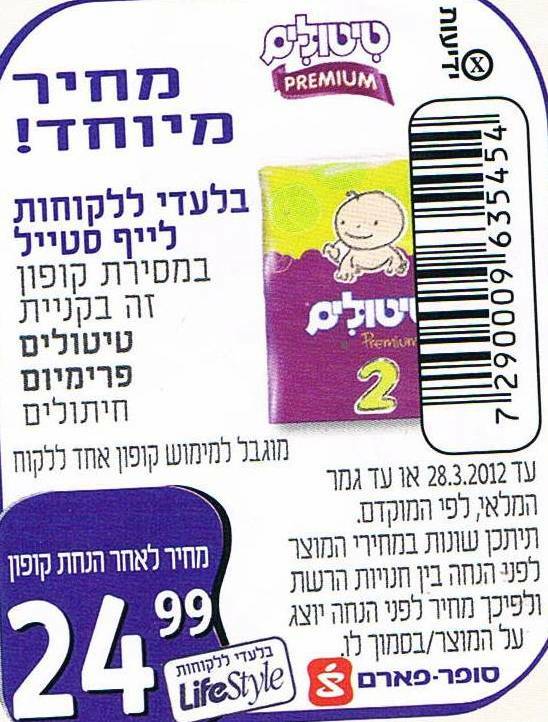 Pampers costs 100 shekels for 2 packages. Huggies (imported) costs 36 shekels if you are a member of YOU. Huggies and Pampers cost 100 shekels for 2 packages at Mega Bul and Mega BaIr for all customers. Pampers costs 39.99 shekels with a purchase of a least 5 items. 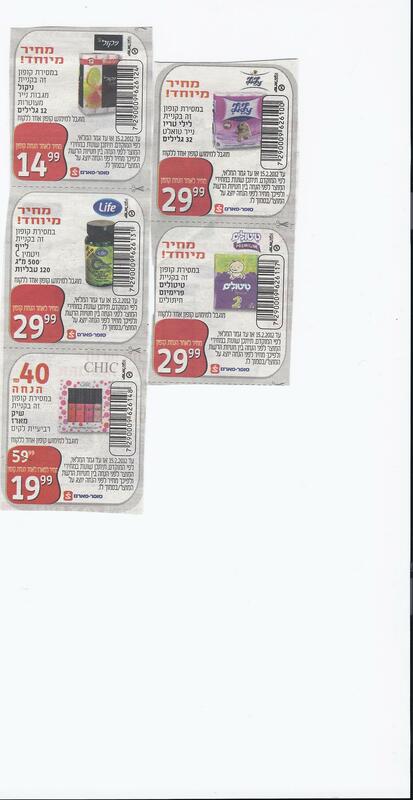 A coupon was sent in the mail to club members to purchase a package of Huggies for 39.99 shekels and Titulim for 29.99 shekels. Huggies costs 35.90 for club members. Pampers costs 38.90 for club members and 44.90 for the rest of the public. Huggies costs 100 shekels for 3 packages; 54 shekels for 1 package. 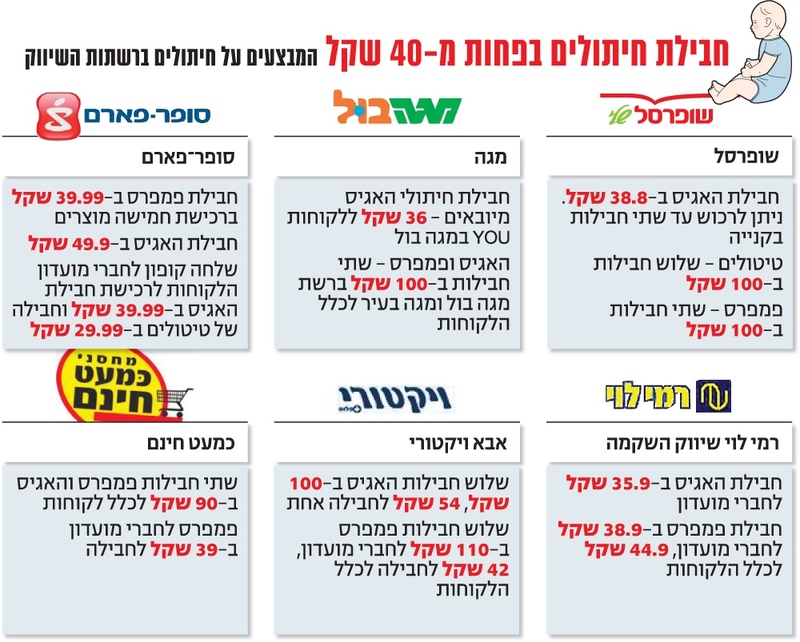 Pampers costs 110 shekels for 2 packages for club members; 42 shekels a package for rest of the public. Pampers and Huggies cost 90 shekels for 2 packages for the general public. Pampers costs 39 shekels for club members.